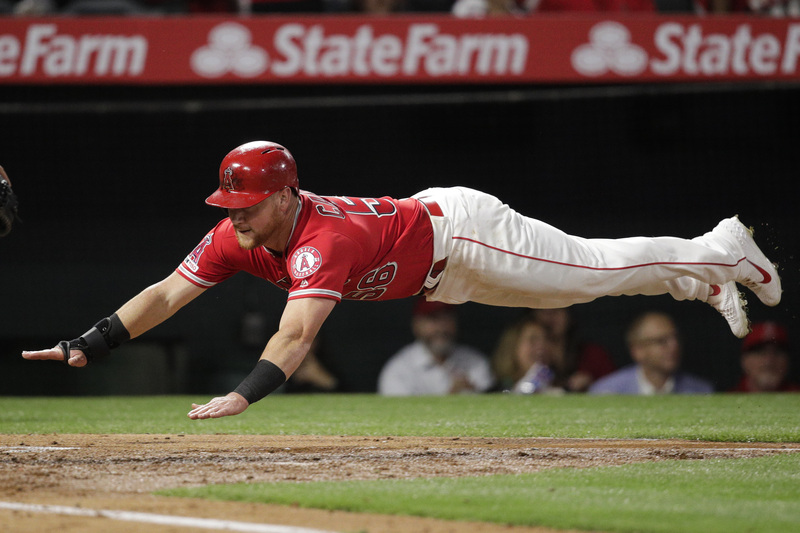 ANAHEIM — The absence of Mike Trout couldn’t slow the resurgent Angels. 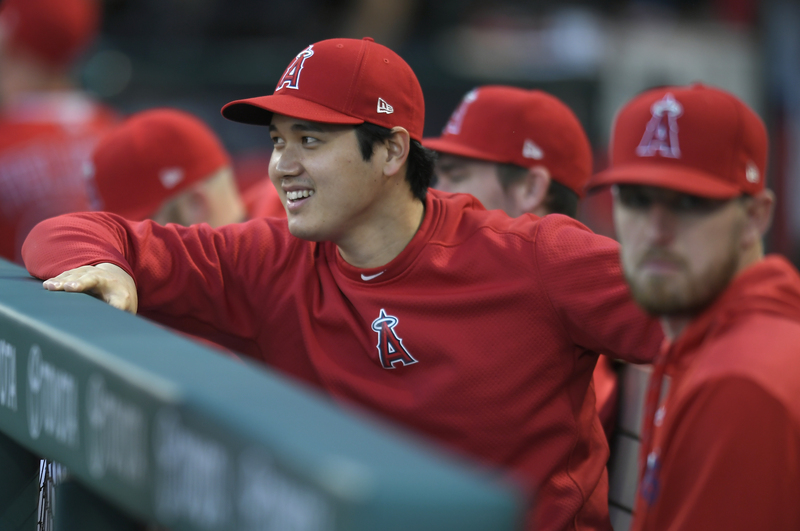 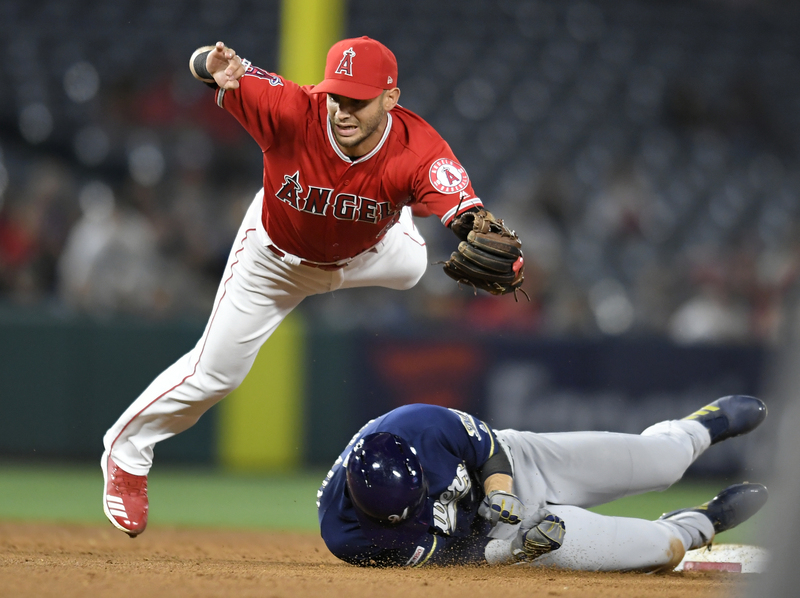 With their superstar out of the lineup because of a strained groin, the Angels still beat the Milwaukee Brewers 4-2 on Wednesday night to extend their winning streak to six games. 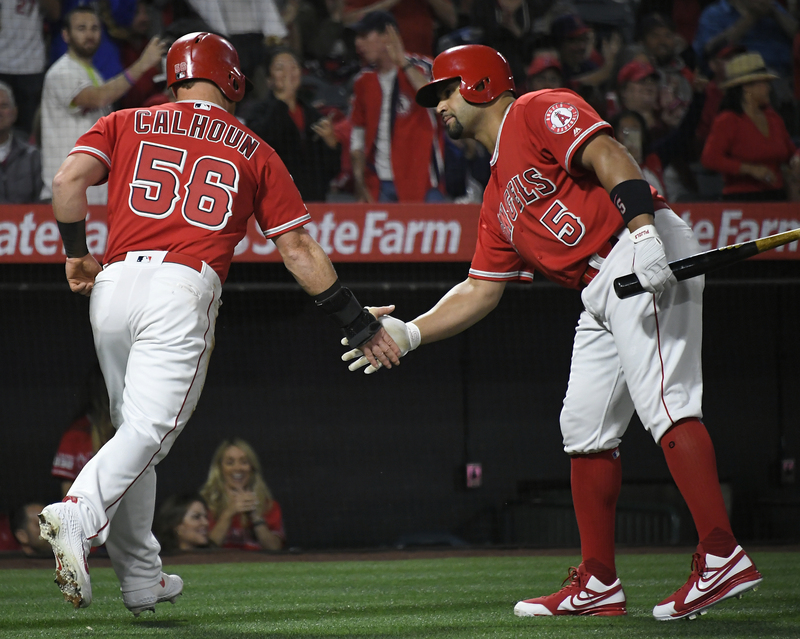 After starting the season at 1-6, a slump that bottomed out with a blowout loss in the home opener, the Angels won the rest of the games on the homestand to take a 7-6 record on the road. 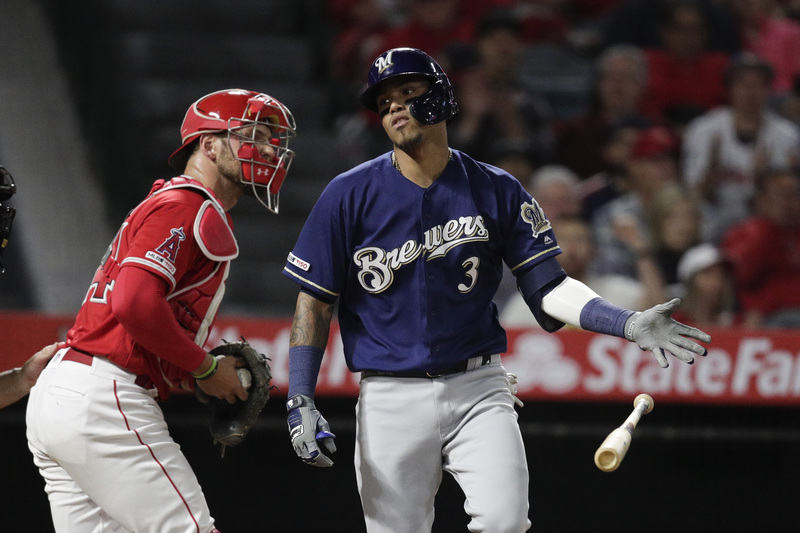 They swept a Brewers team that brought an 8-2 record into Anaheim. The final victory in the series came with a group that didn’t bear much resemblance to the team they hope to have. 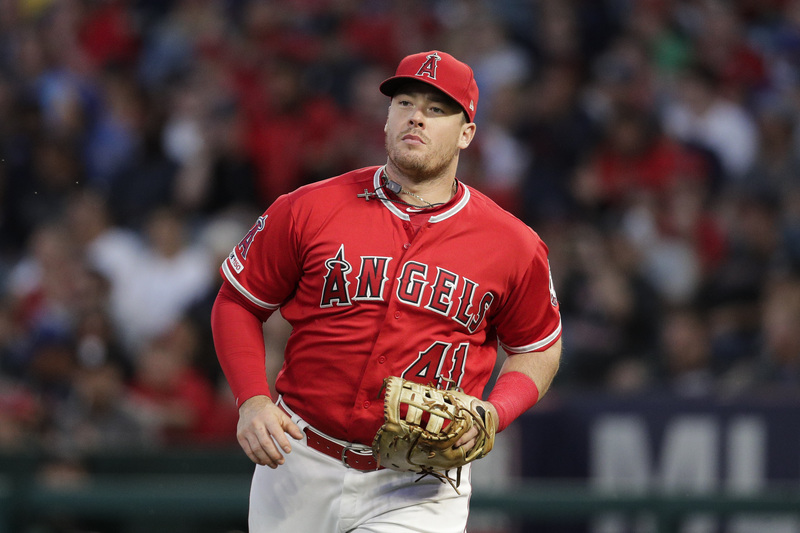 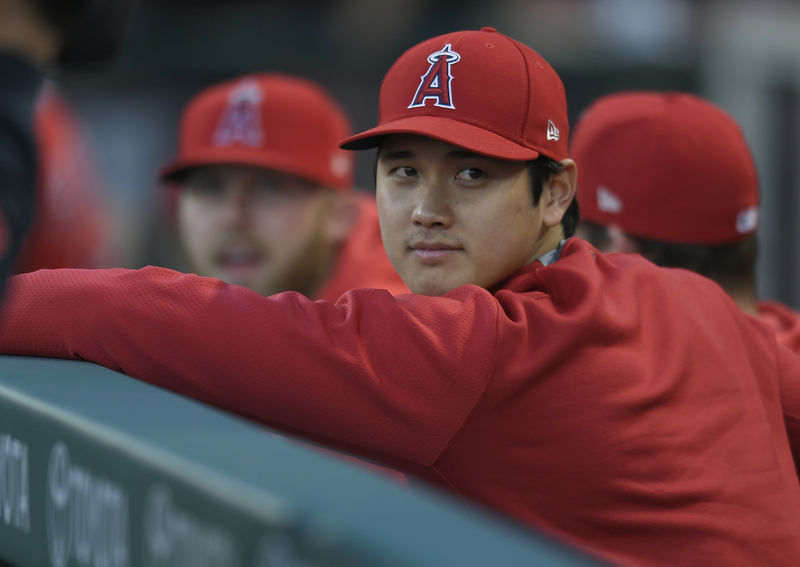 Aside from Trout, the Angels are also without Shohei Ohtani (Tommy John surgery) and Justin Upton (sprained toe). 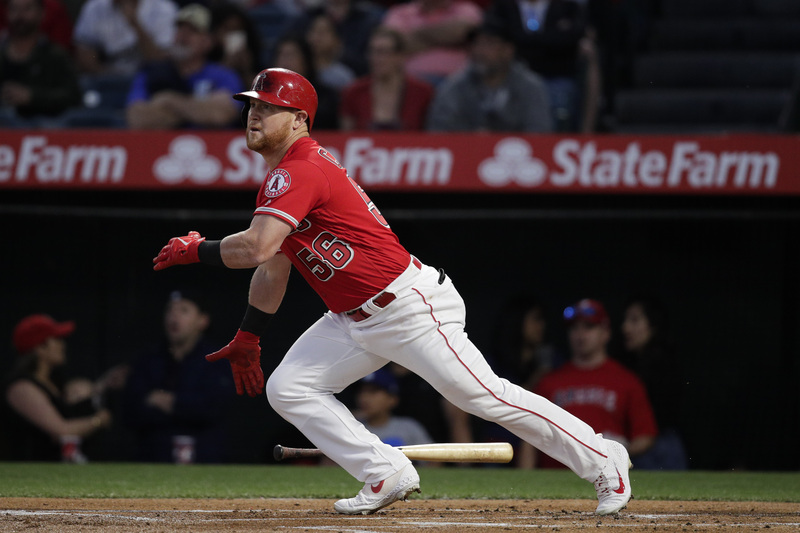 Two other projected everyday players, Zack Cozart and Jonathan Lucroy, were given days off from the starting lineup on Wednesday. 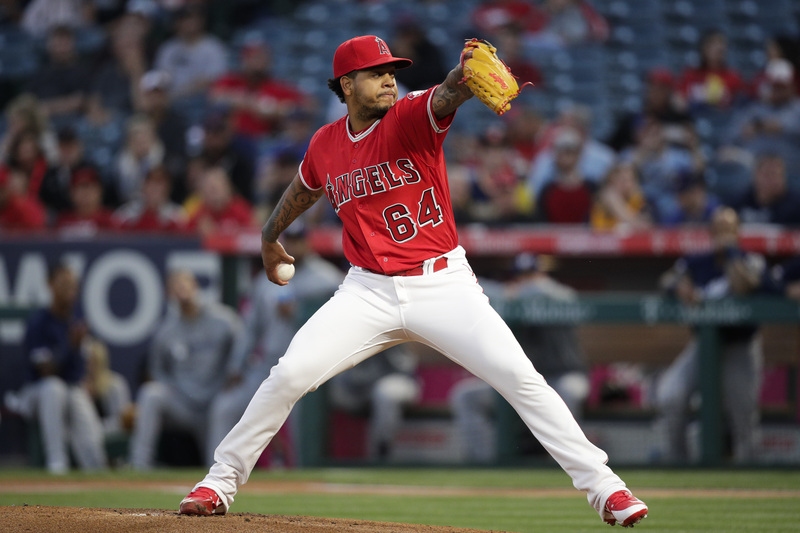 Starter Félix Peña was projected to be the Angels’ sixth starter, but he outpitched Jaime Barría in spring training and won a job in the rotation to start the season. 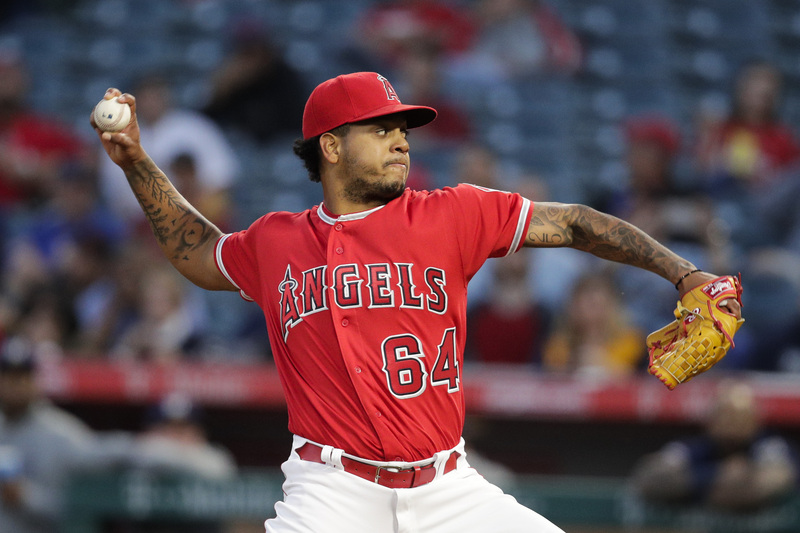 Barría just returned to the majors on Wednesday, to supplement an overworked bullpen, and he actually replaced Peña after he battled through four innings in an unusual outing. 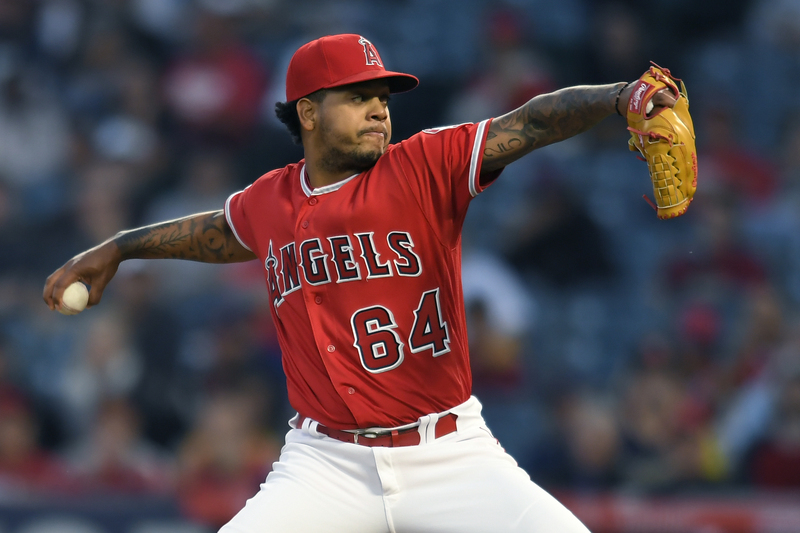 Peña gave up just one run, and it was unearned, but he was clearly not pitching as well as the Angels would have liked. 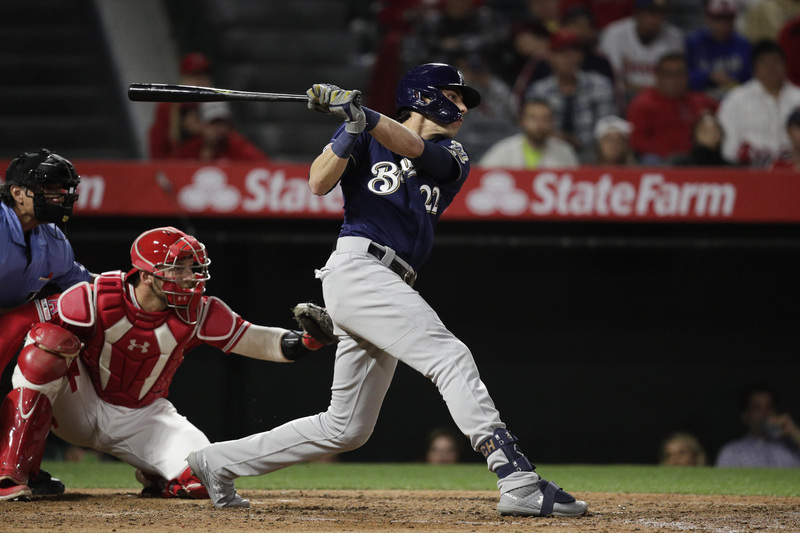 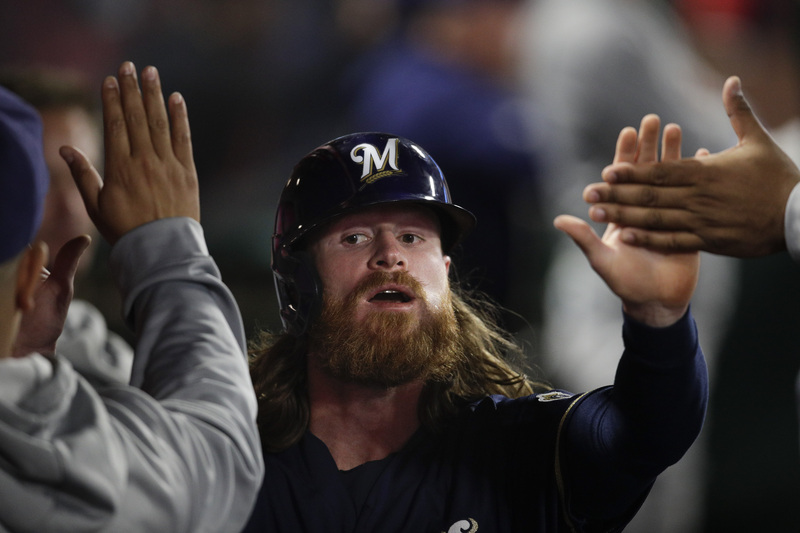 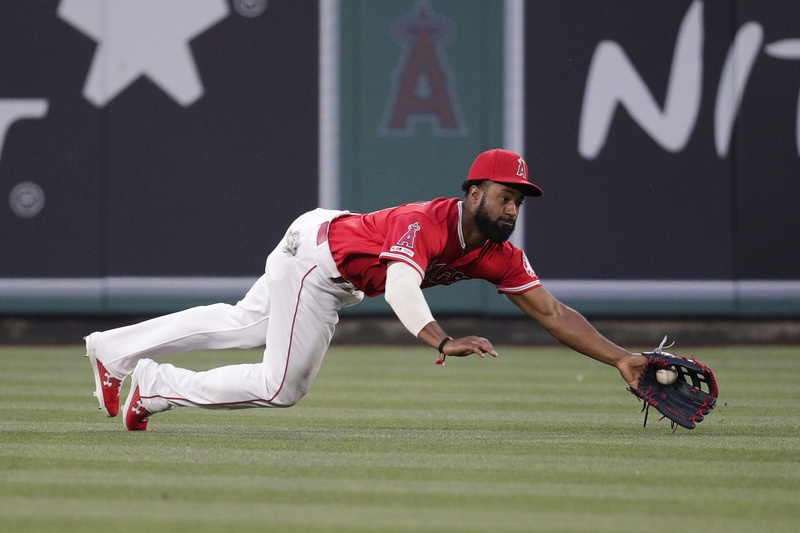 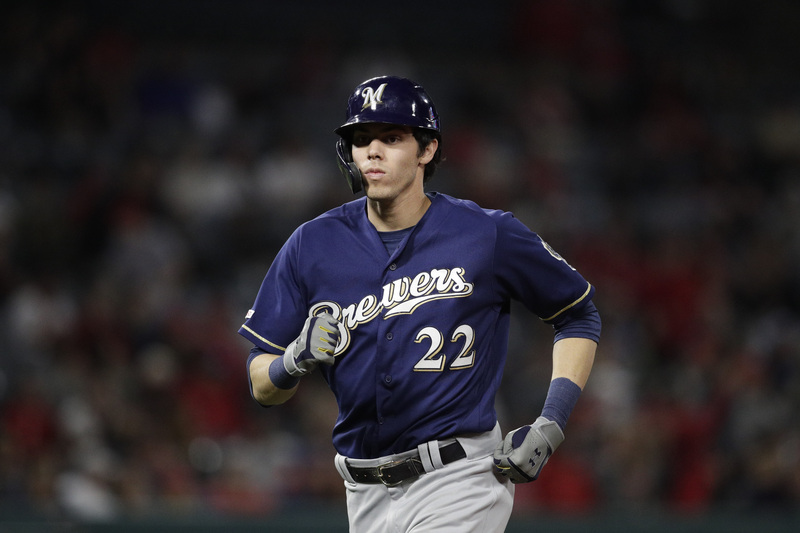 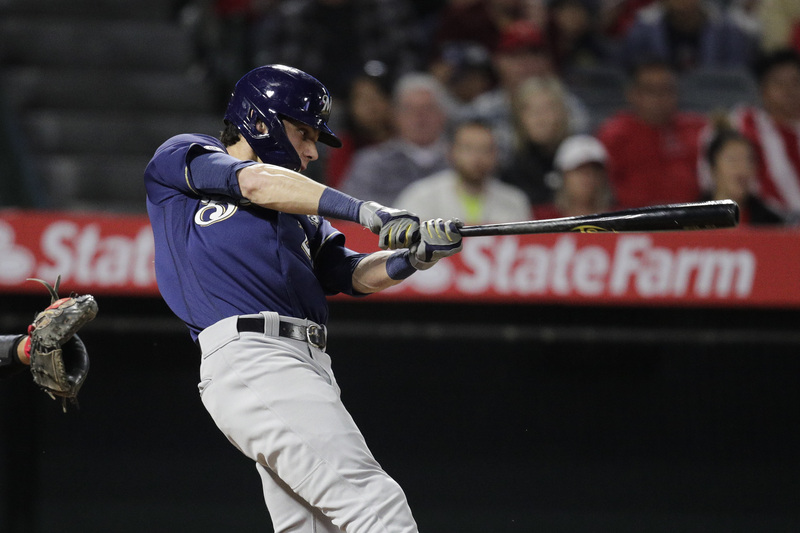 The Brewers hit several rockets against him, one of which would have been a Yasmani Grandal homer if not for a leaping catch at the fence by Trout-replacement Brian Goodwin in center. 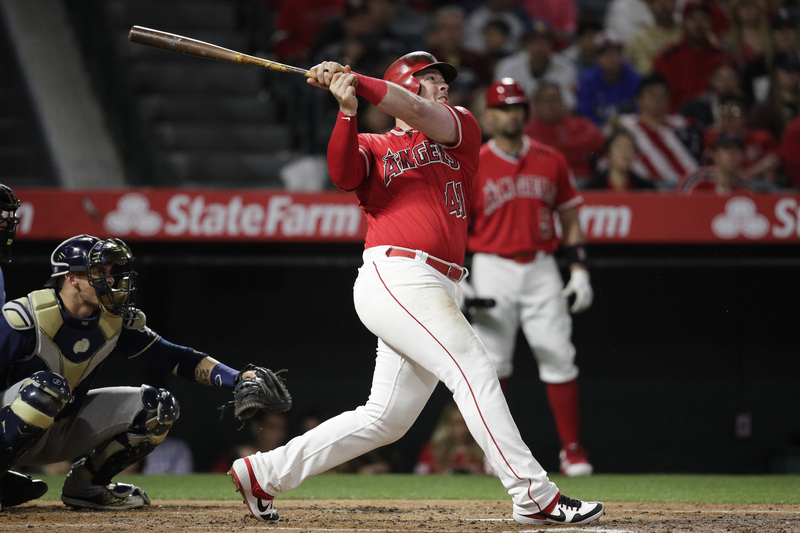 Mike Moustakas hit a ball 112 mph off the right field wall, but it was hit so hard and played so perfectly by Kole Calhoun that Moustakas had to stop with a single. 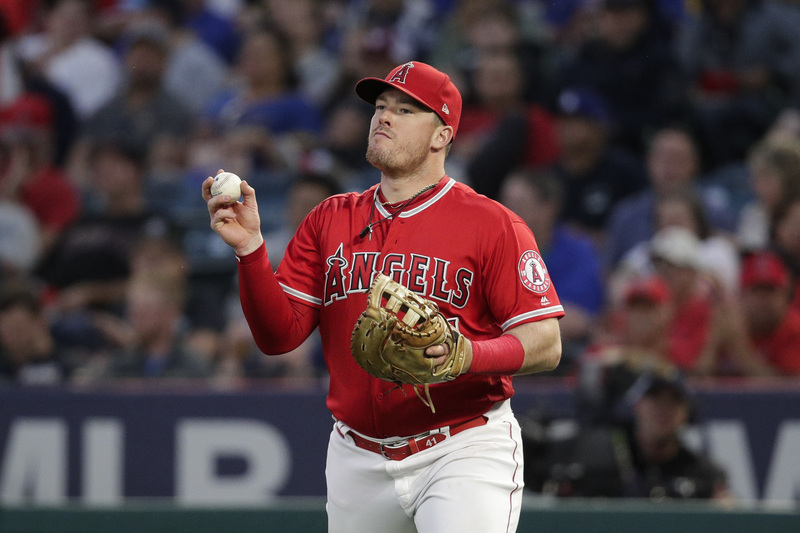 The average exit velocity against Peña was 93.9 mph, compared with the major league average of 87.4. 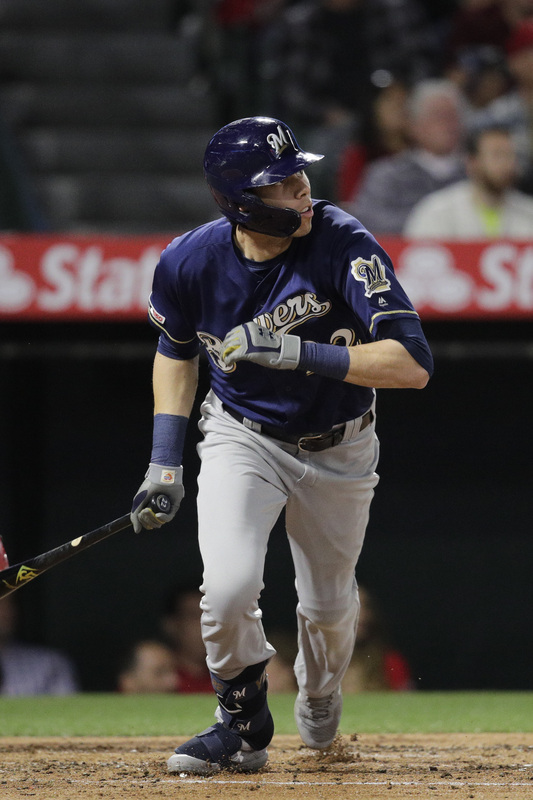 He also hit two batters and walked two, including two walks in the fourth to load the bases. 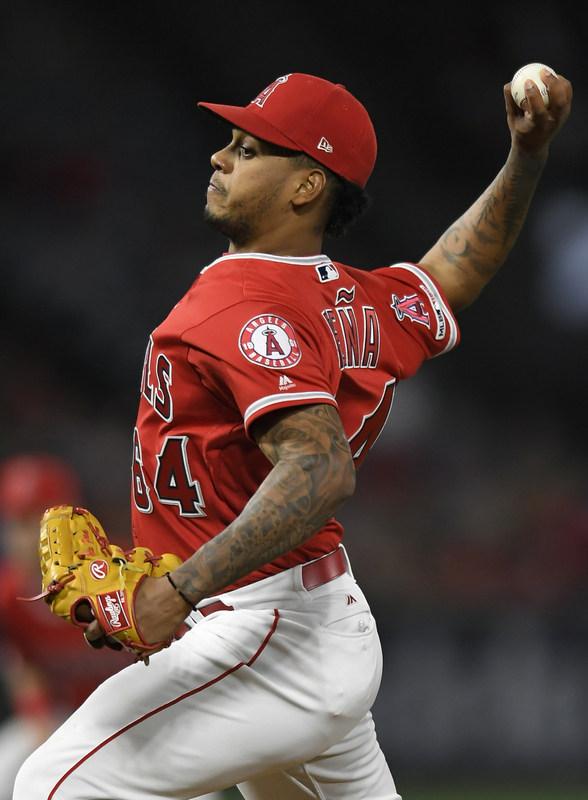 With the bullpen warming behind him, Peña struck out Orlando Arcia to leave the bases loaded with his 72nd pitch, pumping his fist before walking off the mound. 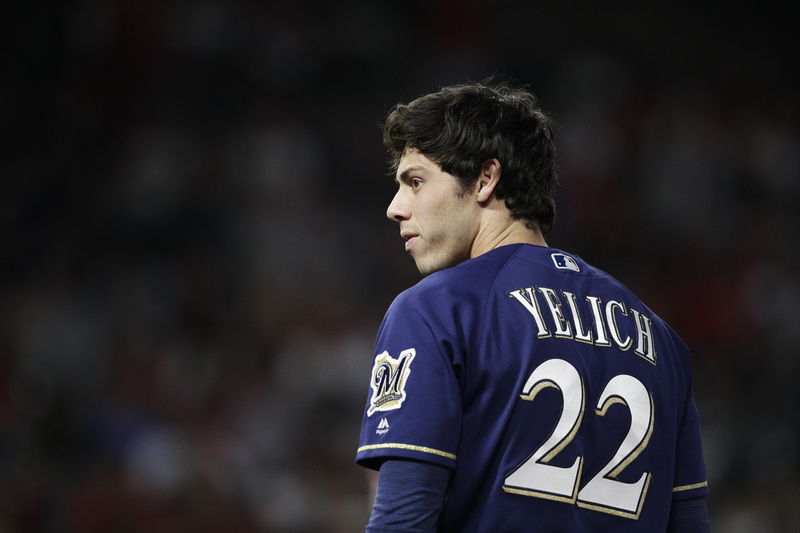 He would not return. 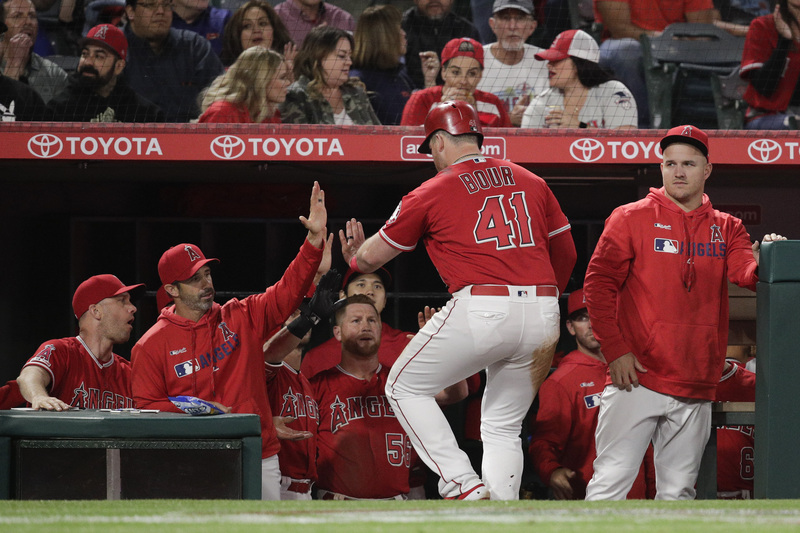 Barría came in allowed one run while recording eight outs, which left seven outs for the Angels primary late-inning relievers to pick up with a two-run lead. 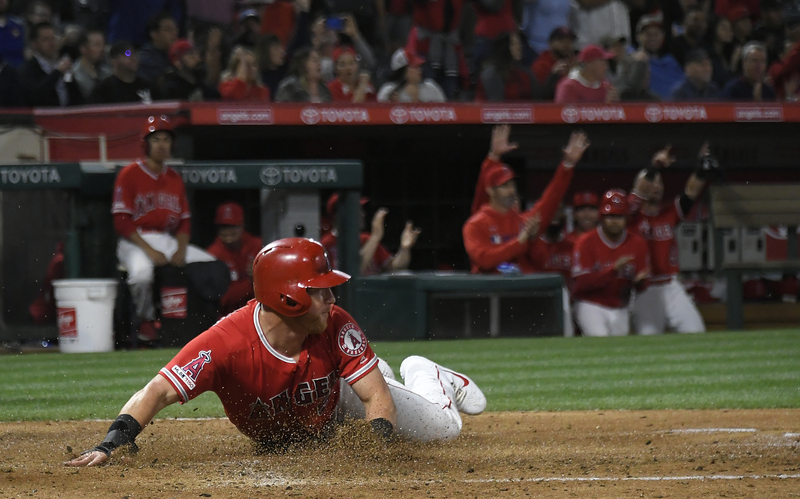 Cam Bedrosian got the first four, and then Hansel Robles pitched the ninth. 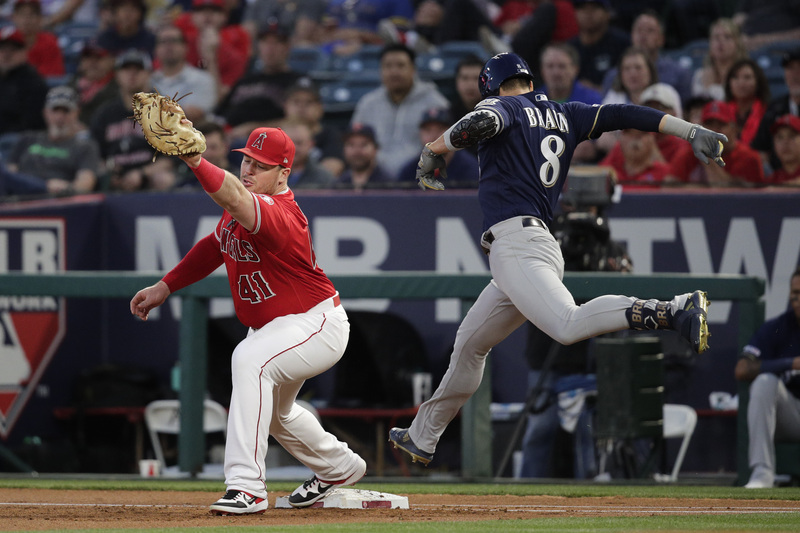 Closer Cody Allen had pitched two days in a row. 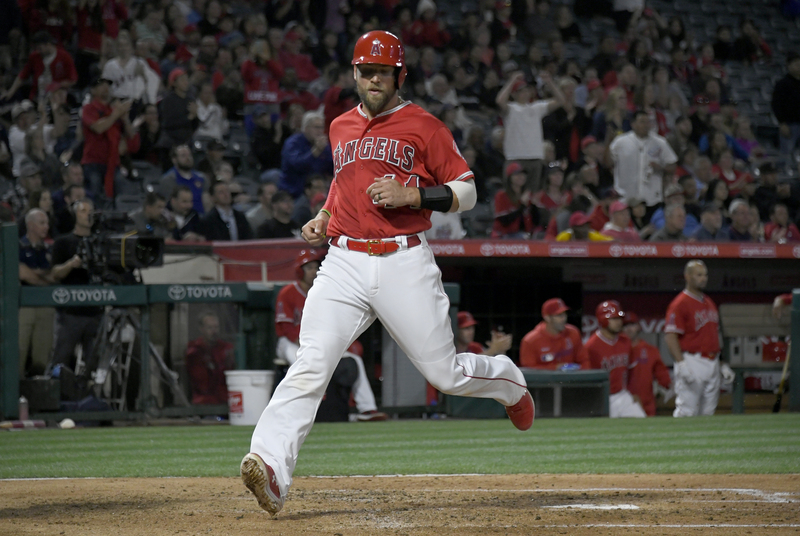 They made the Angels’ four-run third inning stand up for the victory. 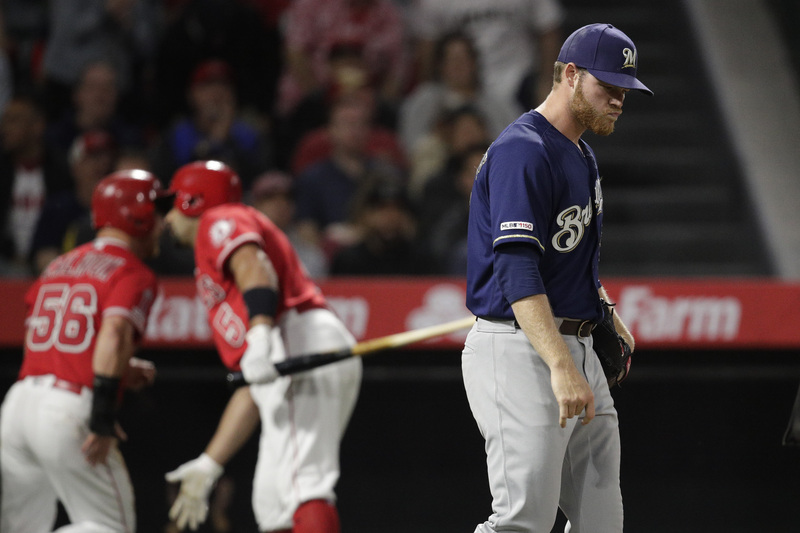 Kevan Smith was hit by a pitch to start the inning, and then No. 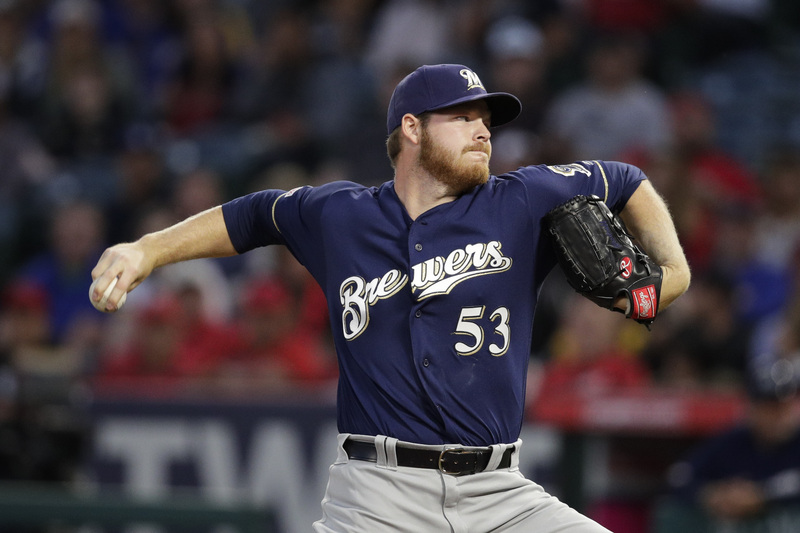 9 hitter David Fletcher drew his first walk of the young season. 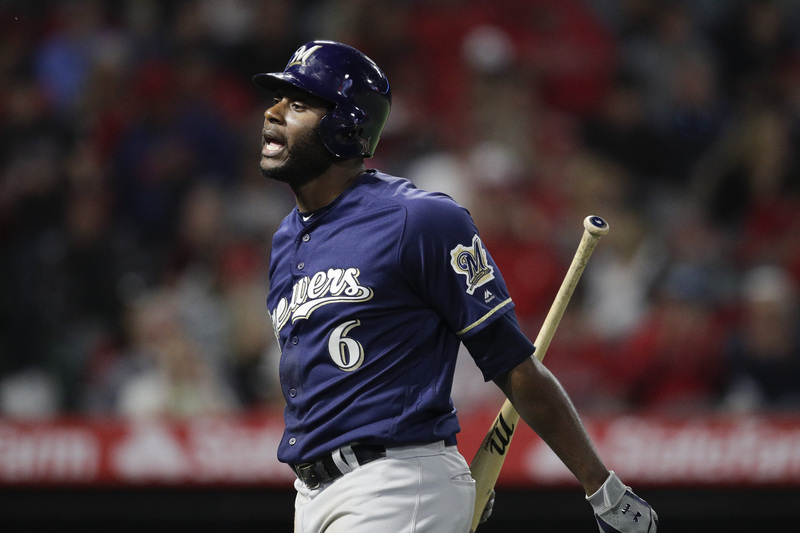 Calhoun smoked a single up the middle to load the bases. 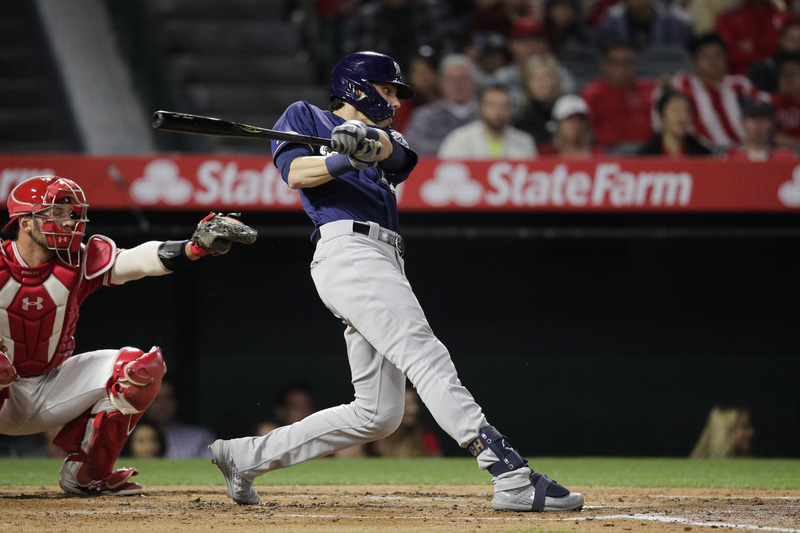 Andrelton Simmons poked a single into right, driving in Smith. 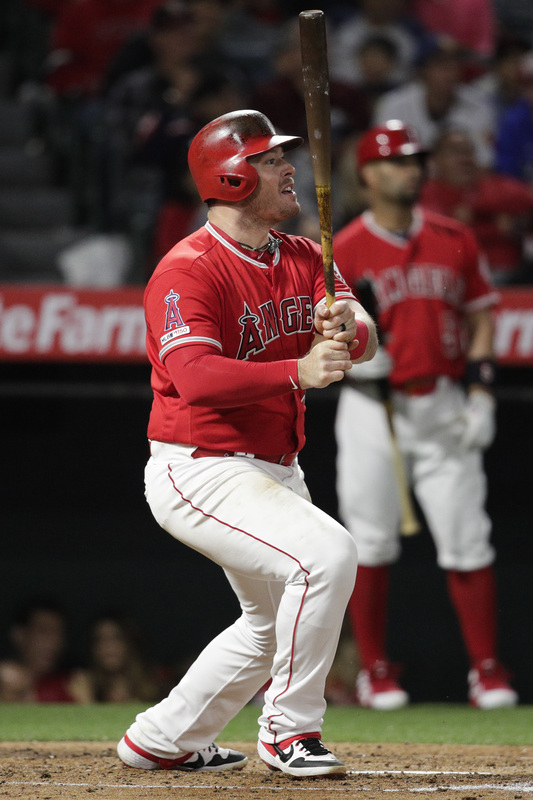 Justin Bour then dropped a bloop single into center, driving in two more. 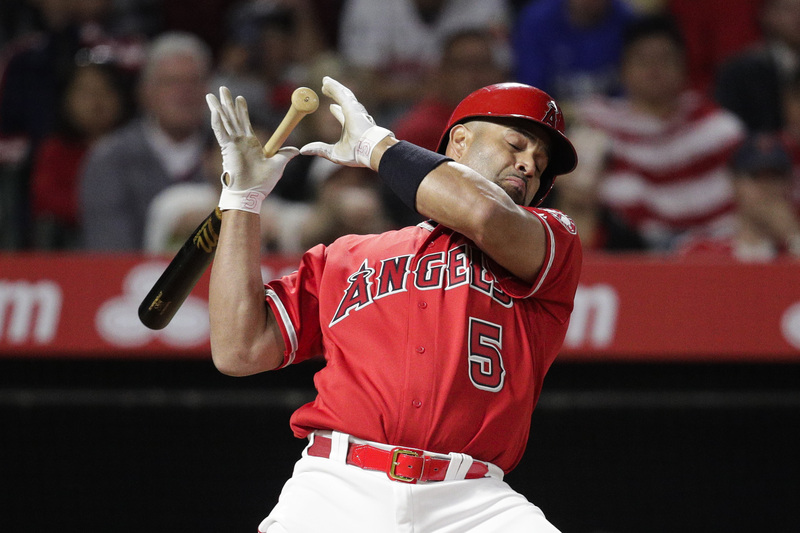 Albert Pujols hit into a double play, pushing home the fourth run of the inning. 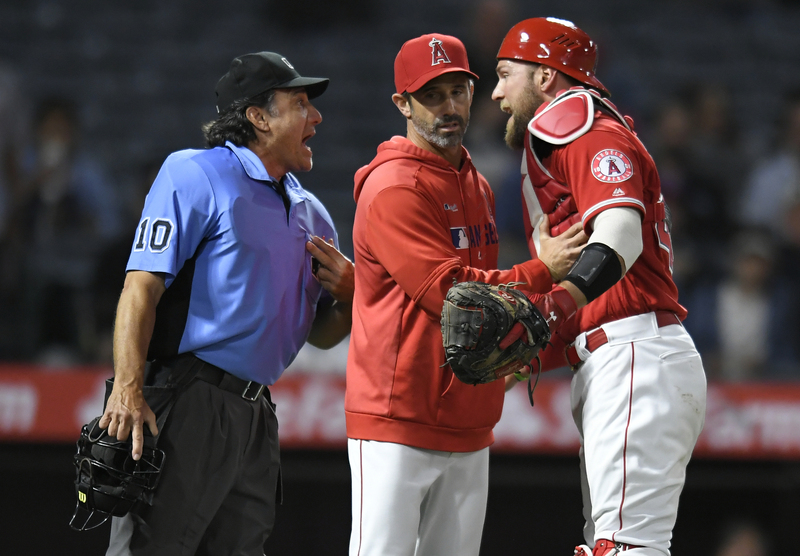 Hoornstra: In the last year of MLB’s old rules, where is the game heading?